A can of 400ml matt black heat resistant stove spray paint. 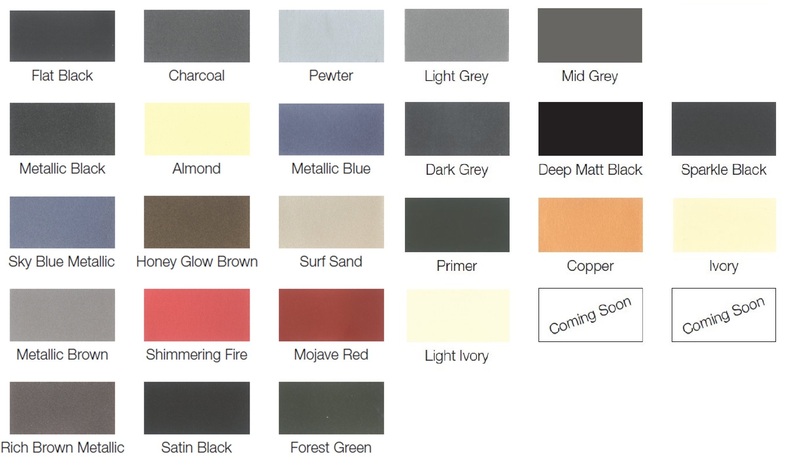 Of all the heat resistant spray paints the initial finish of the matt black compared to the final finish once the stove has been lit and the paint has properly cured is the most similar. This is the most versatile of the heat resistant spray paints as it will match most stoves that come in matt black paint.